Carpers Farm - a sought after Vienna enclave minutes to renowned Wolf Trap. 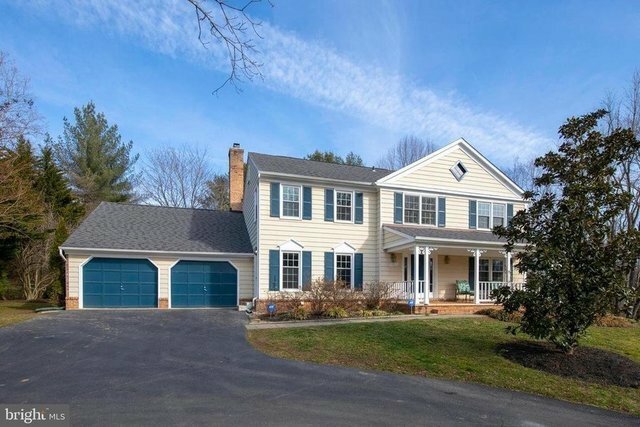 This highly desired neighborhood is close to Great Falls, Reston, Town of Vienna, and Tysons Corner with easy access to Georgetown Pike (Rt.193) and Dulles Toll Rd (2670, Metro and downtown. The property is sited on a rarely available 21,000+ lot, backing to parkland with direct garden access to trails.This elegant and light-drenched home was fully updated in 2017 and is Move-In-Ready. Veranda front porch opens to a gracious center hall foyer. Main floor offers living room, dining room, office/den, open kitchen and family room, breakfast room, powder room, and large mudroom/laundry with garage access. Chef's kitchen with stainless steel appliances and granite counters has plenty of bar space with large breakfast alcove. Family room has large gas fireplace and access to outside rear gardens, decks and hot tub. Vaulted-ceiling screened-in porch with fireplace, TV and sound system brings the outside in for entertaining.Second floor offers a luxurious master bedroom with walk-in closets and spa like ensuite master bath; three generously sized updated bedrooms and hall bathroom and hallway closet storage. Fully finished lower level offers large family room, game area and office with built-is, bedroom, full bathroom and ample storage area. Two-car garage.Come home at the end of your day to this secluded property on a private cul-de-sac with full southern exposure and nestled in maturely landscaped gardens!